Early jazz styles have a long and rich history in Australia. Though their popularity has repeatedly waxed and waned, the tradition remains very much alive in Australia today. There is, however, a dilemma with which most contemporary musicians who look to the past for inspiration must grapple, which lies around the false dichotomy of imitation versus innovation. How does a modern-day musician respectfully honour the past yet remain current enough to add to and extend the tradition? While this is not the forum to unpack the minefield of authenticity, it is worth noting that musicians who reference the broad characteristics of the early jazz tradition – its forms, grooves, energy and spirit – tend to contemporise the music with more success than those who get caught up in the replication of its syntax. Volume Two by The Cope Street Parade abounds with these broad characteristics. 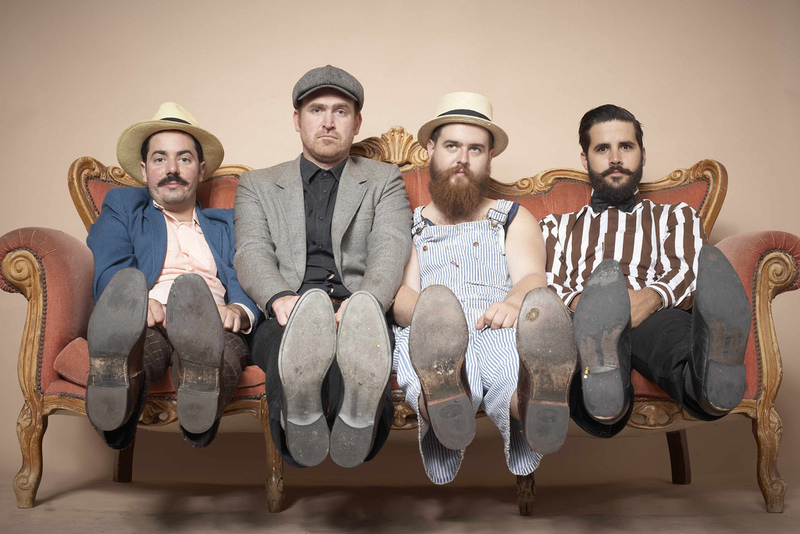 The tunes, penned mostly by guitarist and vocalist Ben Panucci, are a pastiche of archetypal early jazz chord progressions. The grooves are charged with a relaxed momentum that sits somewhere between the Reinhardt brothers and the Fats Waller rhythm section. The tenor playing of Justin Fermino hearkens to the great Coleman Hawkins at his most gruff. A great deal of knowledge and skill has been plied to ensure that this album sound of a bygone era, from the unaffected recording technique and the simple, effective arrangements, to the idiomatic voicings in the cameo appearances of the Basement Big Band. Volume Two is so deeply steeped in the early jazz tradition that it is really only the Australian accent-kissed vocals that hint that the album is from the present day. Volume Two is in fact so highly stylised that it could be described as kitsch, in that its overtly sentimental lyrics, cutesy themes and moustachioed branding are so carefully wrapped in an ‘old skool’ aesthetic, and pitched so squarely at the ‘hipster’ market. This is not at all a bad thing: The Cope Street Parade are expert at spinning a retro web whilst honouring the core characteristics of early jazz. 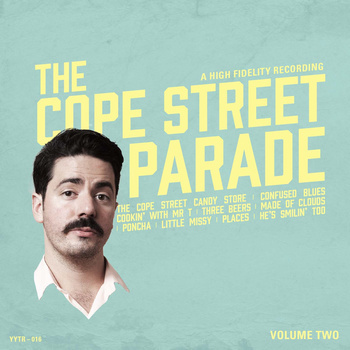 So, if kitsch is your thing, this latest offering from The Cope Street Parade may just be the perfect album to groom your facial hair by.